Do not let the size of this Cohiba fool you. 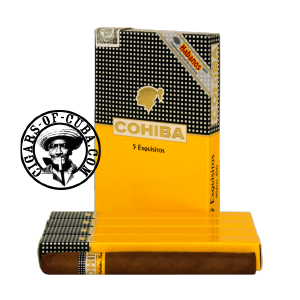 This is a true Cuban cigar that delivers a punch package of aroma and power. It is certainly a fast burner, making it ideal for the occasional smoker or those in search of a 20min break time companion. Full of ripe and robust flavors, the Exquisitos may be a surprise find. Cedar notes and hints of black honey clear on the nose. With an Italian Espresso, enjoy the woody spiciness and the pleasant honey taste from this perfect break time cigar.